"A difference of 1/10 of 1 point (0.1) or two tenths of 1 point (0.2) could mean a drop of almost 10 or more places! that's a difference of 2% (or 4%) in overall score (0.1 is 2% of 5.0) resulting in the difference between being #21 & #32 or #24 & #35. in fact, there are only 19 different scores leading to a disparity of #1 to #43. The exaggeration gets WORSE as you get lower where 1/10 or 2/10's of a point can equal a difference of 25-30 spots (e.g 115 to 142--1.9 vs. 2.1; or 84 to 108--2.2 vs. 2.4). 1/10 or 2/10's of a point on this SINGLE FACTOR can make the the difference between tiers or being in the top 100 or not. We recognize that LSAT score and law school rankings are imperfect and inaccurate representations of potential and quality. Therefore, my question is that, if we are intelligent enough to recognize this, why can't we change it? If there were no rankings, people would still go to Harvard et al., because, after all, it's Harvard. 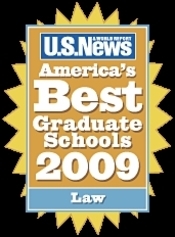 I didn't make my choice on which law school to attend based on rankings. However, I seem to be in the minority. Utter Crap. Law school ratings. Law school admissions. Law school reputations. Law School in general. The research of K. Anders Ericsson is illuminating on this subject. It takes 10 years of consistent hard work to become an expert in any given field, be it chess, singing, gymnastics, golf, or the practice of law. Natural skill, or natural limitations, at the most add or take away a few years to that process. The best lawyers I've seen in a given area of law are those who've are extremely driven and hardworking enough to plow away for years in obscurity--usually in their 20s and 30s when most of their peers are in the height of enjoying adulthood. Before then, they were as likely to go to good law schools as mediocre law schools. By their 40s and 50s, they're literally the smartest guys in the room on their area of expertise. They can spot trouble in a case coming a mile away, cite obscure and on point law by rote, chastize their associates for mistake before they even make them, or be the people in charge of whatever courthoom they're in. I've meet a few people like that in my career, in a very few given areas of law, and you'll never forget them when you see them. Or where you'll see them. It won't be in an Appeals Court, or a high-rise corner office. They'll be in a corporate cube-farm preventing their company from making fatal underwriting decisions, or in dingy offices that always seem to stay busy even in slow times, or in county courthouses saying just the right things to the judge and jury to keep their client solvent and out of jail. Yet the upper-tier law school system is set up as fast food drive-thru kingmaking. One test determines what school you belong in. Then 3 1/2 months exposure to a few areas of law, then taking a brief test, determines how well of a lawyer you will be. Granted, the law school/bar exam system may weed out bad lawyers, but it doesn't determine who will be good ones. The best system of training lawyers is a long term an apprenticeship model (and inevitably needs to be a self-apprenticeship). The 3-year glorified IQ test known as "law school" is an haphazard beginning of that process.